Russia’s space agency Roscosmos has successfully returned the venerable Soyuz booster to flight via the launch of the Soyuz-U booster carrying the uncrewed Progress M-13M/45P resupply spacecraft to the International Space Station (ISS). The launch is the first successful Soyuz booster flight to the ISS since the 24th August failure of the Soyuz-U booster carrying the Progress M-12M/44P spacecraft. Following the 24th August liftoff of the Soyuz-U booster carrying the Progress M-12M/44P resupply spacecraft to the ISS, the booster’s third stage unexpectedly shut down shortly after ignition, causing the third stage with attached Progress spacecraft to fall back to Earth and disintegrate in the atmosphere. The failure could not have come at a worse time for the ISS, with the workhorse Space Shuttle having been retired only the previous month, and commercial resupply spacecraft still engaged in preparations for their debut launches to the station. While the loss of supplies from Progress M-12M wasn’t a huge concern to the ISS due to the “heavy” delivery of cargo by the final Space Shuttle mission in July, more concerning was the fact that the third stage of the Soyuz-U booster used to launch unmanned spacecraft to the ISS shares a lot of commonality with the third stage of the Soyuz-FG booster used to launch crews to the station. Following the launch failure, all Soyuz boosters were grounded pending an investigation, a move which forced delays to other crew and cargo flights to the ISS. With impressive speed, a Russian commission quickly determined the cause of the failure to be a blocked fuel line leading to the gas generator in the Soyuz-U third stage’s RD-0110 engine. The blocked fuel line caused a loss of pressure in the gas generator, which in turn caused a shutdown of the RD-0110 engine’s turbopump, leading to a total loss of thrust. 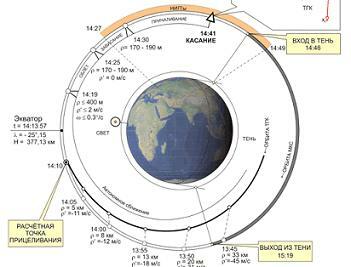 While the blocked fuel line was attributed to a random, one-off event caused by human error in vehicle processing, all Soyuz third stages were ordered to be sent back to their assembly plant for through testing. With the tests confirming that the previous defect was indeed a one-off, Russia cleared the Soyuz booster for resumption of flights. In order to prevent a re-occurrence of the defect, numerous new safety measures were implemented, including video cameras to record all stages of Soyuz booster assembly. 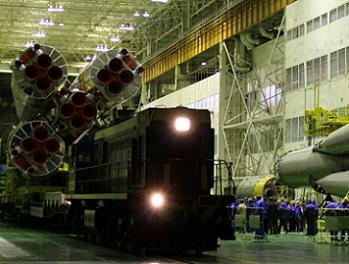 Numerous Russian media reports have cited ageing workforces, poor salaries, and a lack of investment as causes for the decline in the quality of the usually highly reliable Soyuz booster, which has completed well over one-thousand successful flights. The largest concern resulting from the launch failure was that the Soyuz booster would not be returned to flight in time to launch a new crew to the ISS before the current one had to return to Earth, leading to a de-crewing of the station. 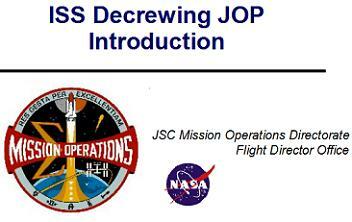 While operating the ISS in an un-crewed configuration is technically possible, it is highly undesirable due to the loss of scientific research and increased risk resulting from on-board failures, as detailed at length in previous articles on this site. In order to maintain a six-person crew aboard the ISS for as long as possible in light of the delayed flight schedule resulting from the Soyuz booster’s grounding, the landing of the Soyuz TMA-21/26S spacecraft with three crewmembers was delayed from 8th September to 16th September (a longer delay wasn’t possible due to lighting issues at the Kazakhstan landing site, and the limited Soyuz orbital lifetime). Once Soyuz TMA-21 had departed on 16th September, the ISS was forced to operate with only three crewmembers for an extended period of time, due to the delay of the Soyuz TMA-22/28S launch with three crewmembers from late September to mid-November. In spite of the lower staffing levels, the station crew have still been meeting their commitments of 35 crew hours per week of scientific activities now that the ISS has entered its full utilisation phase. While Sunday’s successful launch now makes a de-crewing of the station unlikely, such a situation has highlighted the dangers of relying solely on the Soyuz booster for crew access to the ISS – an issue which had been raised many times prior to the failure – but with politicians only taking serious notice after the failure, via hearings into the Soyuz booster return to flight plans, and progress of commercial vehicles to transport crews to the ISS in the mid-2020s timeframe. Today’s Soyuz-U launch of the Progress M-13M/45P spacecraft was a very significant event, since its outcome determined the entire immediate future of the ISS by confirming that the cause of the previous failure has been resolved, and that the Soyuz booster is ready to resume service launching crews to the ISS, averting a de-crewing of the station. Sunday’s launch also marks the first successful launch to the ISS in the post-Shuttle era. It was decided to launch an uncrewed Soyuz-U booster to the ISS prior to a crewed Soyuz-FG in order to successfully demonstrate nominal operation of the common third stage prior to risking a crew – as much as analysis has shown that had a crew been riding the failed booster in August, the Soyuz capsule’s safety systems would have allowed the crew to make a safe landing back on Earth. Following its liftoff from the Baikonur Cosmodrome in Kazakhstan at 10:11 AM GMT, the Progress M-13M spacecraft successfully reached orbit and deployed its solar arrays. Aboard the Progress is approximately three tonnes of propellant, food, water, crew provisions, replacement parts and other miscellaneous items – including two iPad tablet computers for the personal use of the Russian crewmembers. 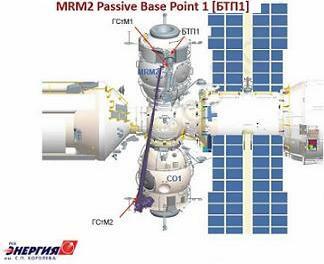 Following an unusual three days of free flight instead of the usual two, Progress M-13M will rendezvous with and dock to the ISS at the Docking Compartment-1 (DC-1) “Pirs” Nadir port on Wednesday (2nd November) at 11:40 AM GMT. The DC-1 Nadir port was vacated yesterday (Saturday 29th October) by the Progress M-10M/42P spacecraft, which undocked at 9:01 AM GMT as was de-orbited for destructive re-entry and splashdown into the Pacific Ocean around four hours later. Progress M-10M had been docked to the ISS for exactly six months, having linked up with the orbiting outpost back on 29th April. Progress M-10M had the unique claim to fame of being responsible for delaying the STS-134 launch of Space Shuttle Endeavour back in April – as much as Progress M-10M was happy to pose for a photo alongside Endeavour when Soyuz TMA-20/25S departed the station during STS-134 in May. While Progress M-13M will never get the chance to meet a Space Shuttle orbiter, it will remain docked to the ISS for nearly three months, whereupon it will undock from DC-1 Nadir on 25th January 2012, releasing the Chibis-M satellite prior to de-orbiting. Now that the Soyuz booster has successfully returned to flight and demonstrated safe operation of the third stage, the stage is now set for the 14th November launch of the Soyuz TMA-22/28S spacecraft with three crewmembers, for a docking to the ISS at the Mini Research Module-2 (MRM-2) “Poisk” Zenith port on 16th November. The boosting of the ISS crew back up to six crewmembers will be short lived however, since following an extremely tight six day crew handover period, Soyuz TMA-02M/27S will undock from the MRM-1 Nadir port and land in Kazakhstan on 22nd November. The Soyuz TMA-03M/29S spacecraft will then launch to the ISS on 21st December, for a docking to MRM-1 “Rassvet” Nadir on 23rd December. This will put the ISS back up the six crewmembers by year-end. The next Progress launch – Progress M-14M/46P – is planned for 25th January 2012. While the resumption of crewed launches of the Soyuz booster to the ISS has yet to occur, today’s successful launch of Progress M-13M has cleared a major hurdle toward getting the ISS back up to full capacity by demonstrating the diligence and professionalism of the Russian failure investigation teams in returning the Soyuz booster to safe operation.